By Dainy Bernstein in Events on December 5, 2018 . 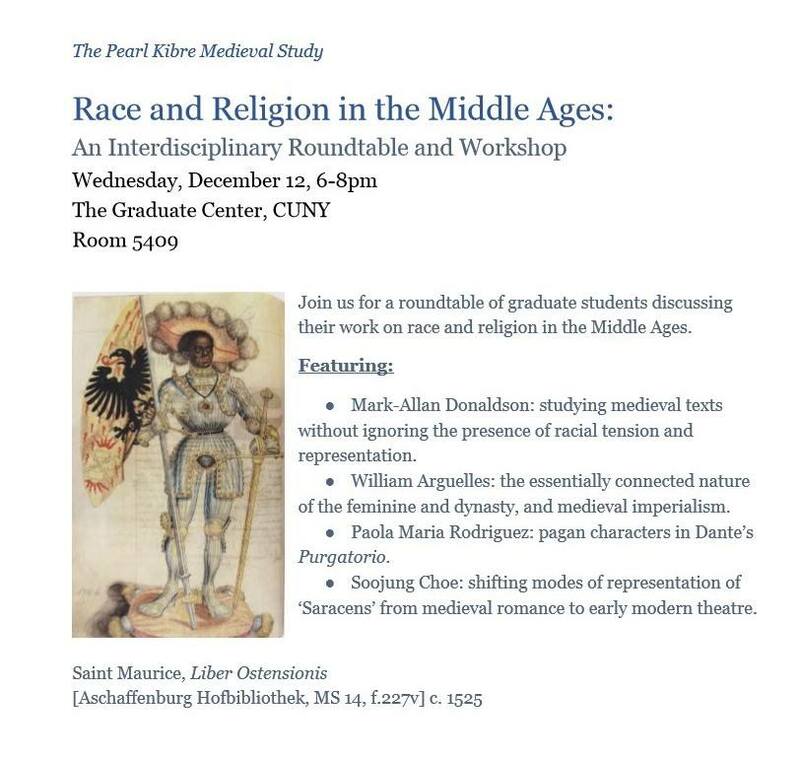 Join us for a roundtable of graduate students discussing their work on race and religion in the Middle Ages. Mark-Allan Donaldson: studying medieval texts without ignoring the presence of racial tension and representation. William Arguelles: the essentially connected nature of the feminine and dynasty, and medieval imperialism. Paola Maria Rodriguez: pagan characters in Dante’s Purgatorio. Soojung Choe: shifting modes of representation of ‘Saracens’ from medieval romance to early modern theatre.